I am back in Kuching but I’m busy busy busy, so updates will come later on this week when I clear out some outstanding work. the photo. i am lost. it needs contextualization. where? * wha – ? when ? * damn malu if it’s in kch. i know our mahkhamah moved, but i only visited it once since the big tree in the middle cracked into two. Karcy: It’s in Penang. :-) Taken a couple of days ago when I was there. hi, kuching loyar here. 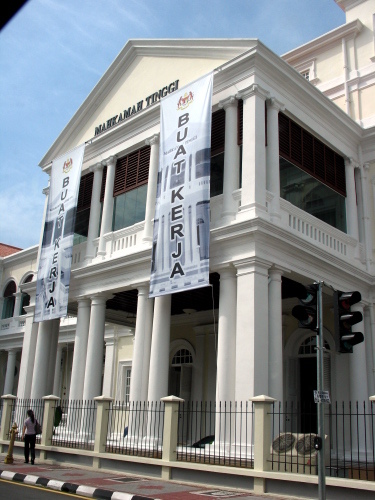 our high court in petra jaya had the same banners, only twice as tall. they stayed up for only about a week. i should have taken a photo…..
hurm. i typed my blog address wrong. or rather, it was short of “kuching”. really shouldn’t be commenting while dog-tired. the blog is http://www.habitatkuching.wordpress.com. 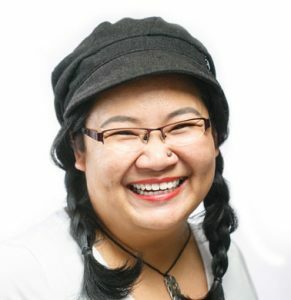 we also have a profile at http://www.ammado.com/nonprofit/hfh+kuching — check us out! feel free to email me at habitatkuching@yahoo.com with any questions on our mission against poverty housing (or if you want to talk to me as a loyar, zap me a note at james@glplex.com). damn memalukan wei for us here in penang. sigh. u knw for who la these words are directed to. aaaahhhh, sharp one youve captured there georgette !!! Buat Kerja LOL LOL and the aussie blokes (me being sadly influenced by them) would dream of weekends all day long.